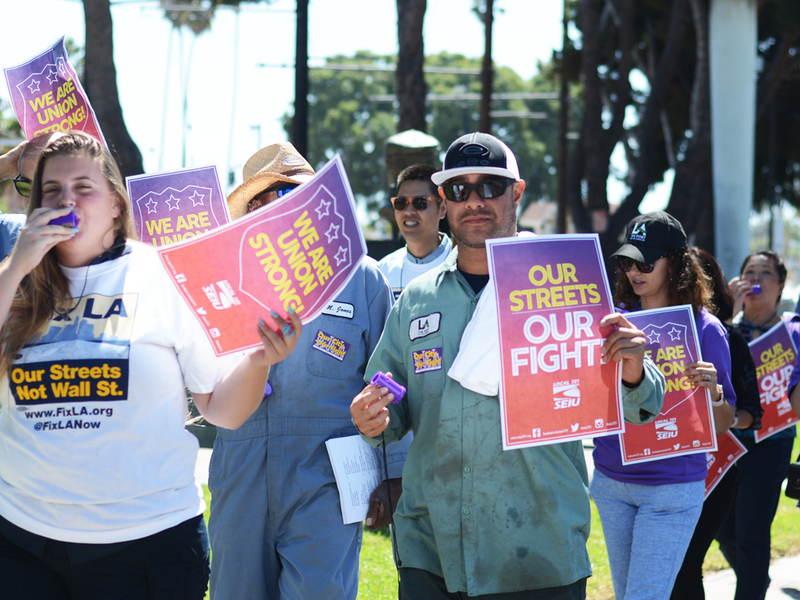 We made it clear through our citywide worksite actions and our march at L.A. City Hall that we were prepared to do whatever it takes to win a fair contract, and it worked! After hard-fought contract negotiations, we beat back City management’s proposed takeaways to reach a Tentative Agreement on a 3-year contract! For months, the Mayor and his team were hell-bent on going after our healthcare, but we stopped them in their tracks. We not only protected our healthcare, we also ensured that every single City worker has fully-paid medical and dental coverage. On top of that, we won 9.65% in raises over the life of the 3-year contract, including a continuance of our 12-step salary structure which the City was going after. 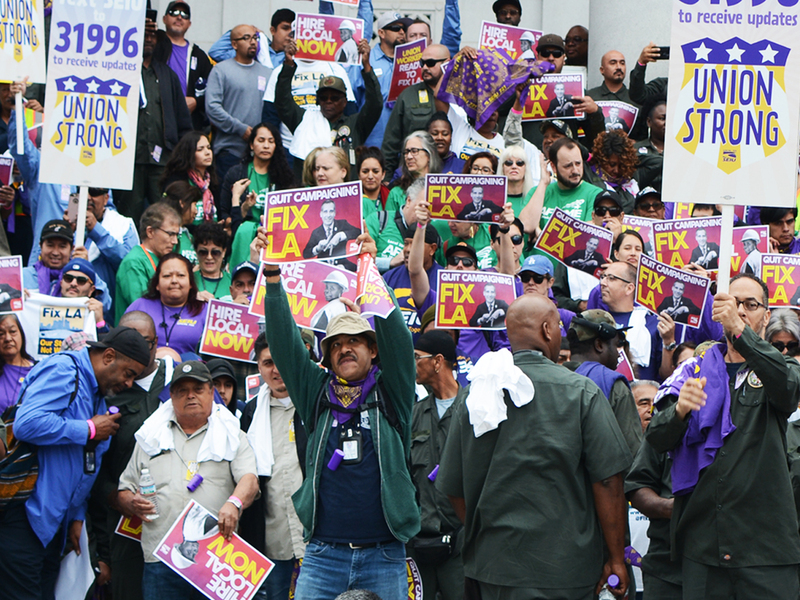 Our collective strength as union workers ready to Fix LA made this happen! So what’s next? Make sure your union membership is up to date so you can vote on this contract starting on April 15th! Great work to all rep’s!! What will be the effective date and is there any retroactive pay as we have heard. Yes, retroactive to October 28, 2018. Visit https://www.seiu721.org/lacityhq.php for full details and more. What about the retro-pay from Oct 2018??!?? Is it still there?? Yes. Visit https://www.seiu721.org/lacityhq.php for full details and more. Great work SEIU 721 for protecting all our Recreation and parks Maintenance staff.Job well done ! Thanks ! Awesome job!Does fully paid medical and Dental give us what already had or is there increased coverage? The TA maintains the current City contribution that guarantees fully-paid Kaiser and Vivity plans for workers and their families. We fought off city proposal for members to pay 10% of their health insurance premiums, which means we protected 100% of the cost of health care at the Kaiser Family rate. About time the ballots go out! For MOU 8, will the one step movement (retroactive back to January 8, 2018) affect normal step anniversaries?